CANDY WOW baby lips is actually more like a wow then a candy.. I know you all must be waiting to find out are this really our old favourite baby lips in whole new packaging or its something different? Lets begin. 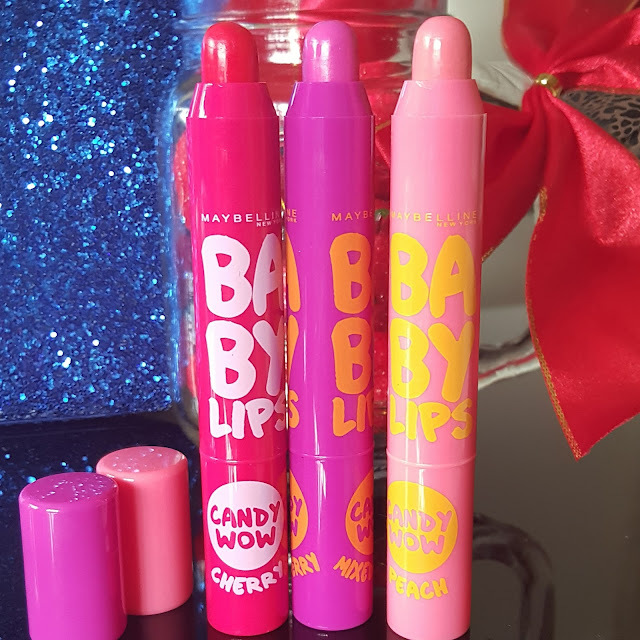 Maybelline has recently launched Candy Wow Baby Lips which come in such a cute adorable packaging. 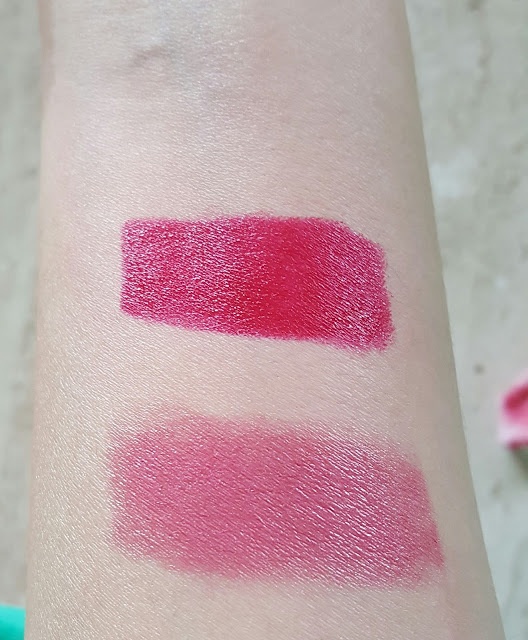 So I just found them on Instagram and I was wondering are this lip balm in chubby stick form or they are like lip tints and yes they are almost similar to lip balm having some pop of color. There were 5 flavour’s available I picked up 3 which are Cherry, Mixed berry & Peach. I am so glad that Maybelline has gone to next level from usual chapsticks. I know we all love baby lips but its time to have something new with our favourite old products. Candy wow really makes you say wow wen you look at its packaging I am totally loving them. This are usual lip balms in form of crayon having a bright colourful tube and cap which is so attractive. It’s a retractable chubby stick so thats really amazing. It doesn’t have sharp tip but a round domed tip which helps in better application. The cap fits tightly I found them very girly like colourful crayons which are easy to carry and easy to apply. 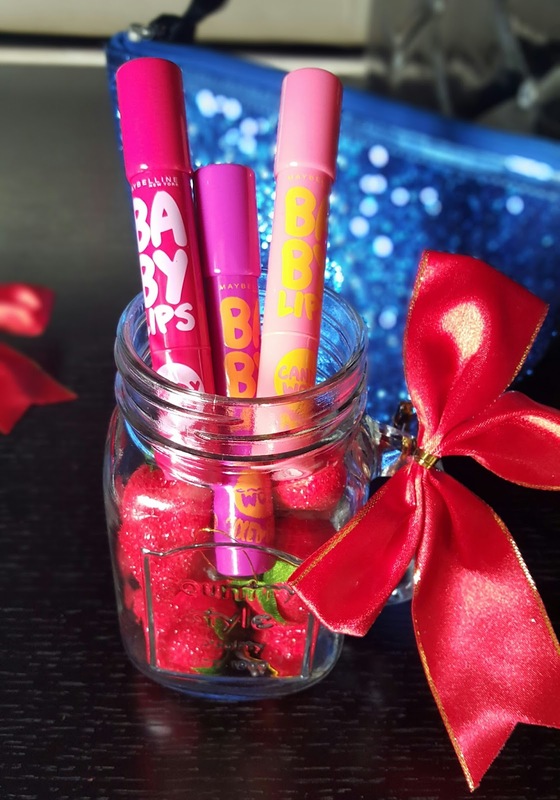 A Baby Lips first – your favourite lip balm now comes in candy‑inspired colour and a new retractable crayon format! Hydrate your lips with the help of vitamin E plus get a glossy candy colour at the same time. • Vitamin E helps hydrate and glide on smoothly. • Sheer pop of colour with a glossy shine and a yummy candy flavour. Candy wow are just similar to baby lips they just have it in chubby stick form with different candy flavour’s. It has a sheer pop of color. They glide on smoothly like a balm. You can even use them under lipstick. Well the quantity here is only 2g while usual baby lips have 4g. So you get less quantity at higher price. But I enjoyed using this candy form lip balm then the usual baby lips. It looks very girlie cute and application is more precise. After application it gives a nice tint to lips. It gives you the flavour of candies. They have glossy finish it doesn’t contain any shimmer. Helps moisturizing your lips and keeping it well hydrated for 2 hrs. I have missed on two flavour’s orange and raspberry I wish to get have them soon. They feel comfortable on lips. Texture is light barely feels that you have put something on lips. It doesn’t help healing chapped or extremely dry lips. You may have to keep on reapplying every few hrs. they have got yummy candy flavoured smell but that doesn't last for long. The tint stays for 3-4 hrs and usually starts fading from centre of your lips. They do not contain any SPF. All flavour’s are pretty cool and give different color tint on lips. This looks great even when you have applied no makeup. Overall recommended if you love baby lips you surely going to love this new exciting candy flavour’s lip balm. This is something new to have in your collection its quite girlie and cool to have lip balm in chubby stick form. 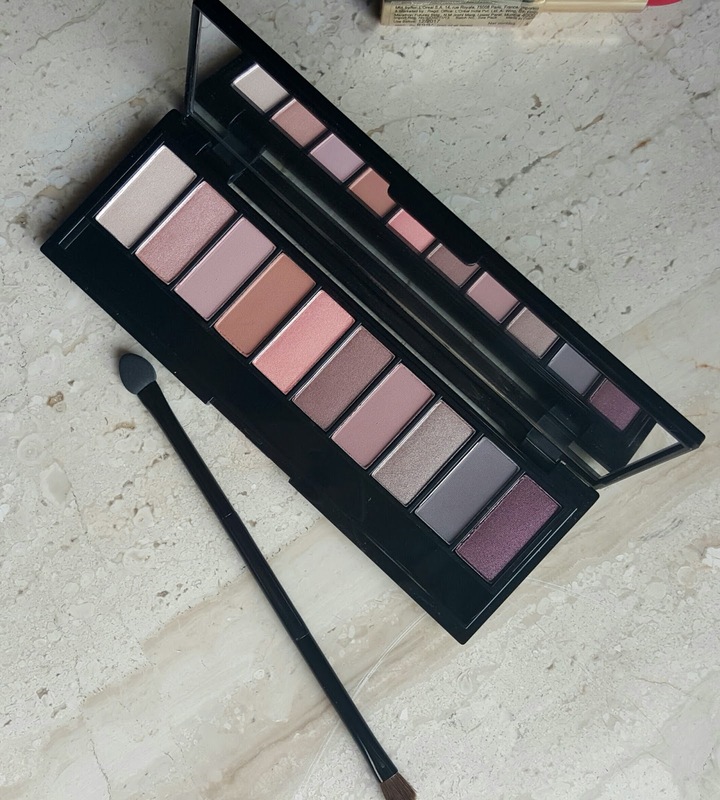 I feel they are perfect for autumn and even when you feel lazy to apply lipstick. Choose your favorite flavour and let me know? It smells almost like berries well the smell doesn’t stay on for long. Peach gives a light peach pink tint. It gives a sweet smell like a peach candy. 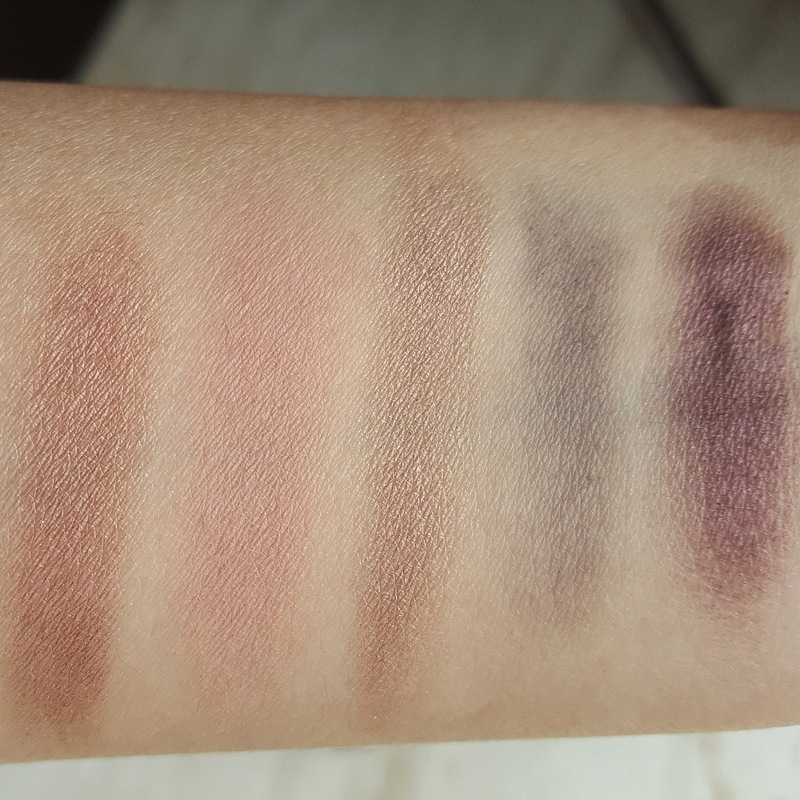 This is almost like lighter than natural lip color so that’s visible. Cherry gives red color tint having smell of beautiful cherries. Happy thanksgiving to everyone. 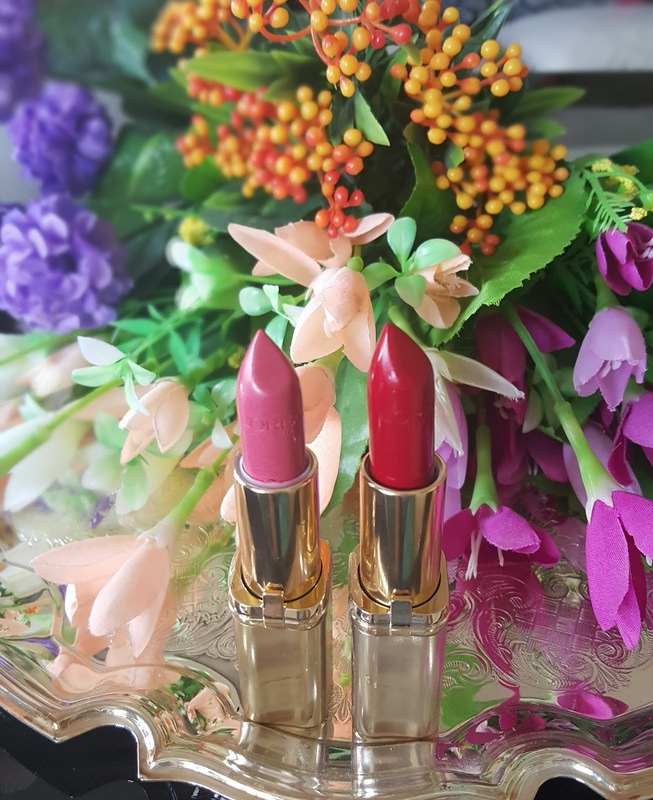 Today I will be reviewing 2 more lipsticks from L’Oreal Color Riche Range. Its going to be short and sweet if you want to know more details about COLOR RICHE lipstick you can check on my previous post where I have talked about Manolia irreverent shade from this range. 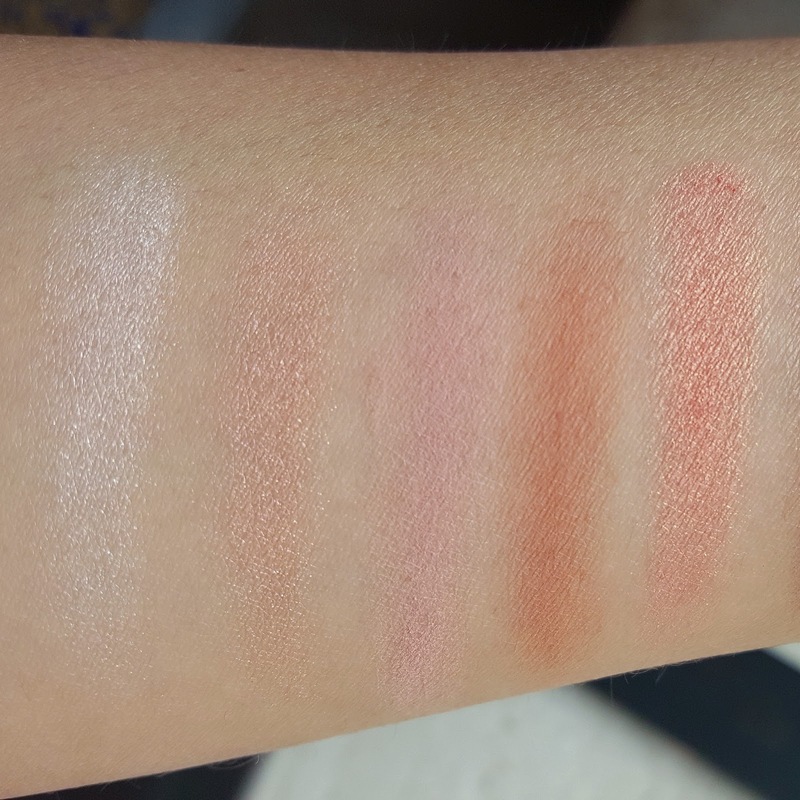 So I just went on for holiday shopping and picked up two more shades which are Blush Fever and Carmin St. Germain. 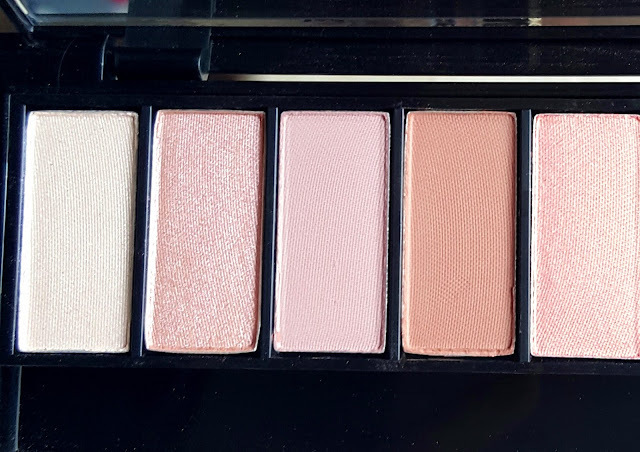 Blush fever is more like a day to day color its dusty rose pink. 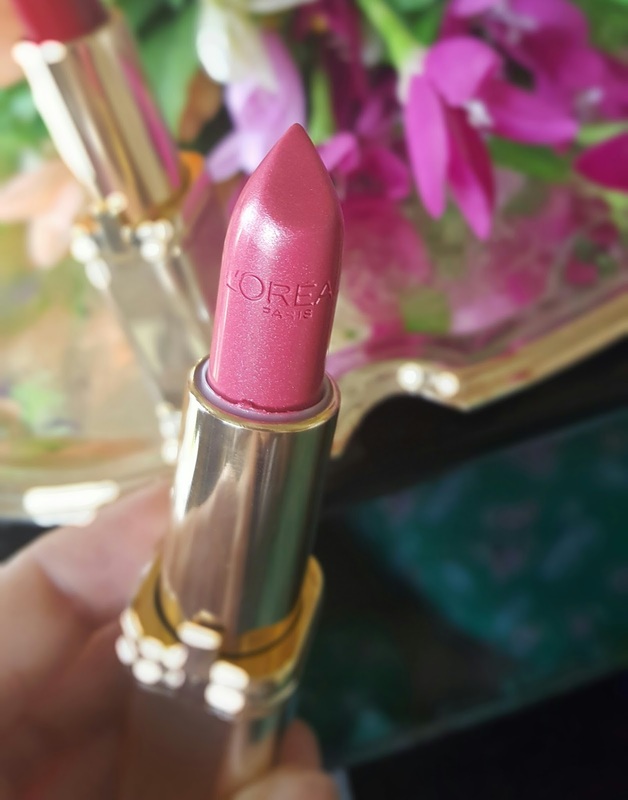 This lipstick has lots of shimmer but when applied on lips this shimmer just adds sheen to lipstick making it more lustrous. 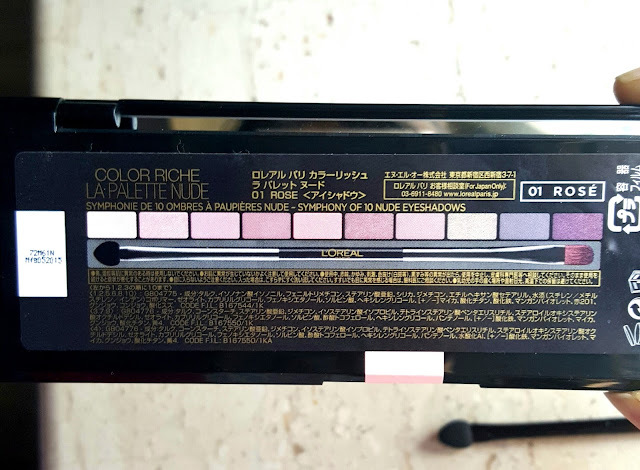 Its sheer compared to other color riche lipsticks so you may have to build this color. 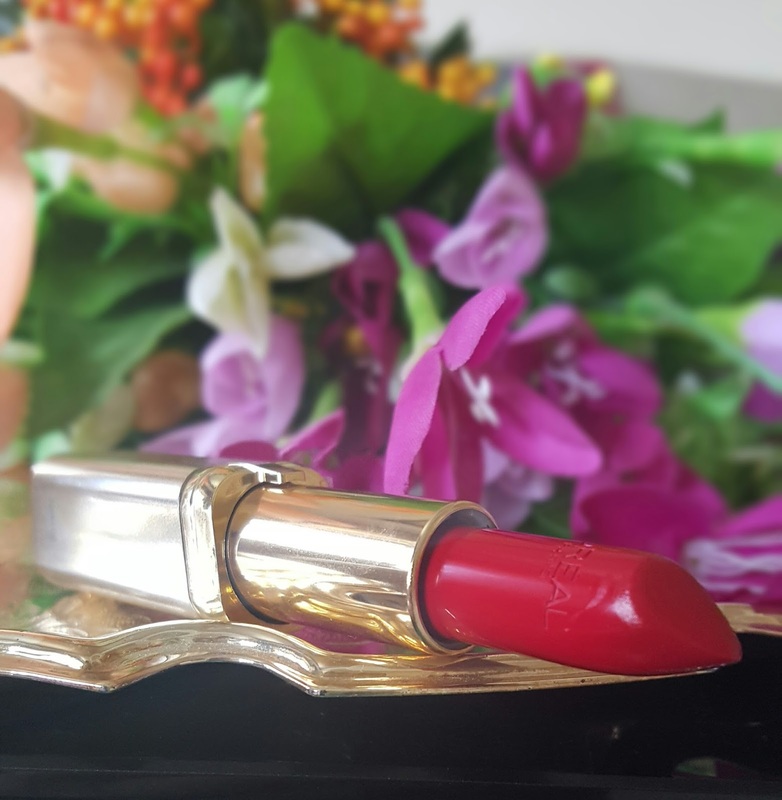 St. Carmin Germain has no shimmer and it’s a creamy highly pigmented lipstick. The color is more like a darker red having cool tones its intense a perfect evening shade for this holiday season. Its great color to for wedding parties and festivals. This lipsticks are rich in color and give opacity in just one swipe. Though I like to apply two swipes for proper application. They are quite moisturizing to lips. Its a non drying formula. It doesn’t bleed or smudge. But as you go for darker colors i recommend using lip pencil. They feel light on lips. No lip balm or gloss required. Carmin st. Germain do leave a pink stain on my lips which is difficult to remove. They have got sweet fragrance which does not annoy me. 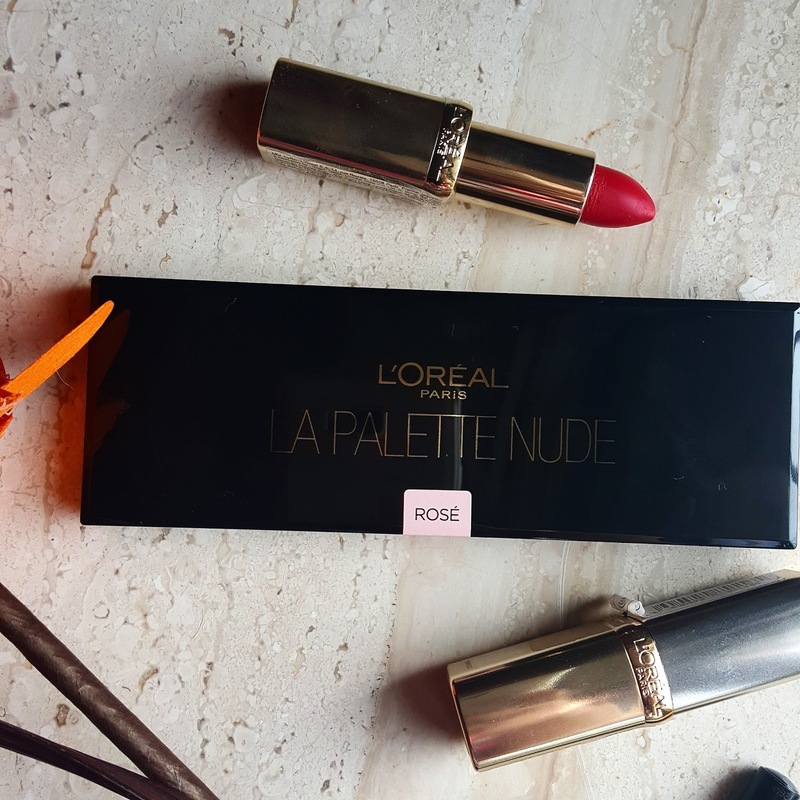 This lipsticks are quite luxurious and creamy they do transfer partially. 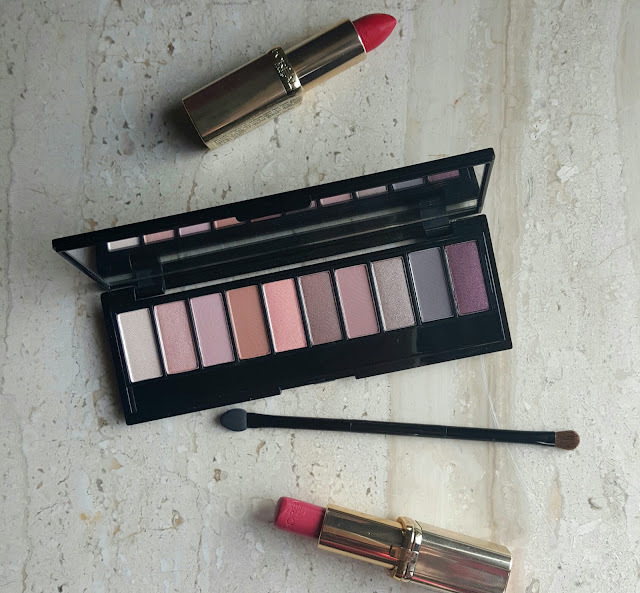 This lipsticks stay on for 5-6hrs for lighter shades you may need touch up while darker shades stay for much longer. You can even soak the excess of product by dabbing tissue. 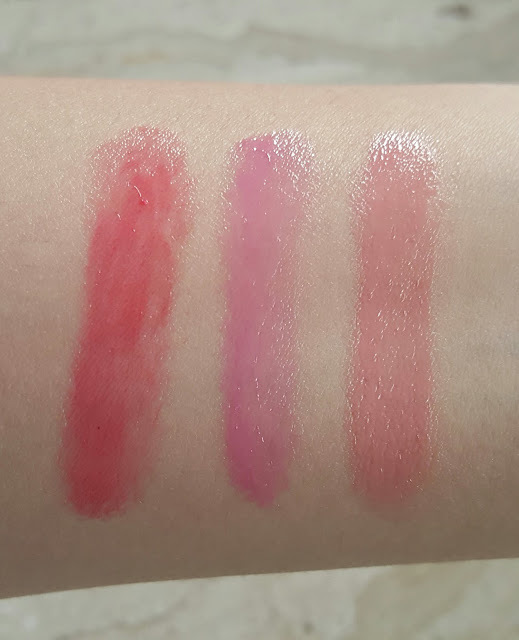 I am totally impressed with this lipsticks. 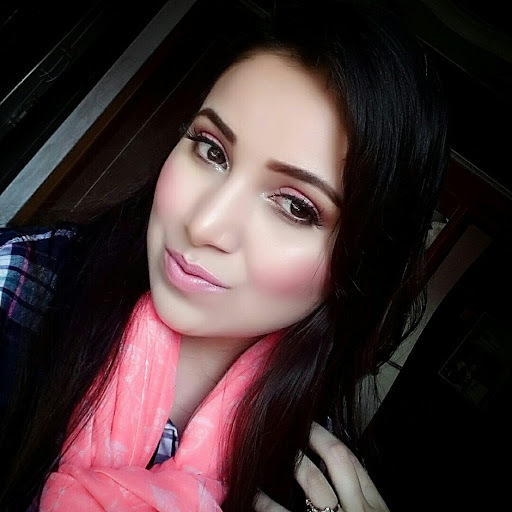 I love using blush fever on everyday basis its light subtle and can suit most of skin tones. While Carmin St. Germain is intense darker red which I like using it for occasions. 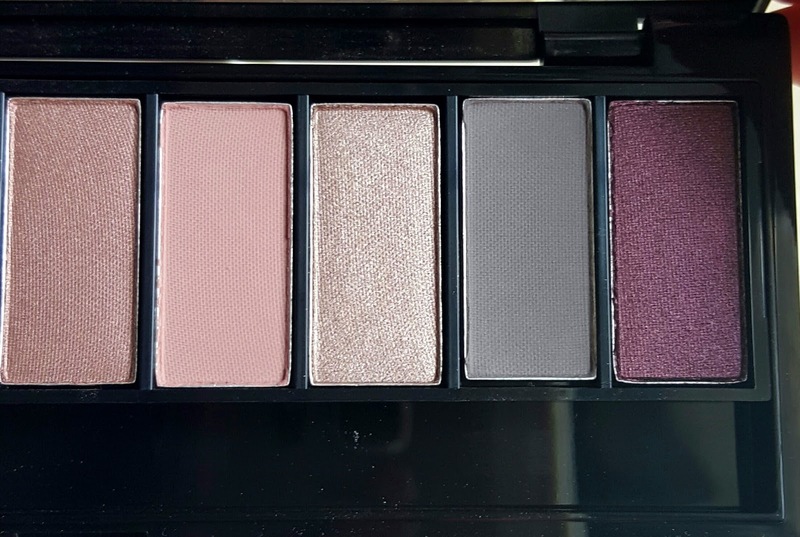 Which is your color obsession? Let me know in comments below.